the name ‘john hughes’ might not mean much to anyone under 30.
but those born in the 60s and 70s know that john hughes ruled 80s teen movies. he used the all conquering brat pack throughout the series and molly ringwald, anthony michael hall, andrew mccarthy, ally sheedy and judd nelson have failed to capture comparable success since. 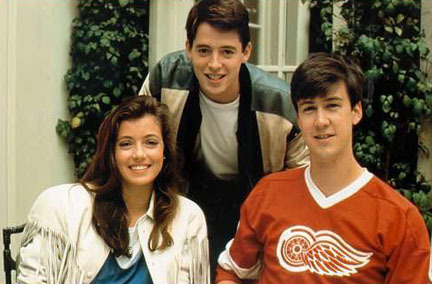 the characters, ferris bueller apart, emerged from obscurity to challenge and overcome their shallower rivals. the difference between the UK and US became apparent watching these films. cheerleading and after school activity in general was not cool. the outcasts who drank, smoked and hung out in smoky clubs were more easily identifiable. 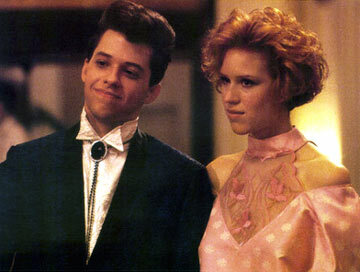 molly ringwald wasn’t the best candidate for a 90% pink wardrobe, being ginger and all. my favourite character was the lounging steff, a vision in white linen as he sauntered around the school. of course he was about 30 at the time so youthful awkwardness may have been an acting lesson too far for james spader. obligatory indie club scene is present and correct, as is gym class bitching between molly and blonde cheerleader with one sided ponytail. 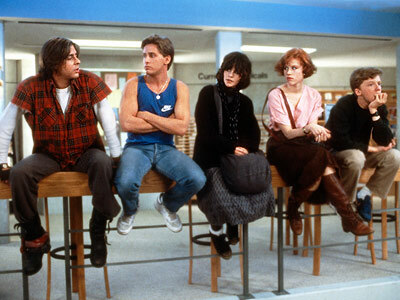 this movie defined the high school stereotypes throughout all of john hughes’ films – the princess whose parents drink and fights, the jock who only plays football to please his dad, the geek who came close to blowing up the school, the outcast with the attitude who everyone secretly fancies and the outcast with the messy hair who puts on some mascara and – voila!- pulls the captain of the football team. charlie sheen-alike senior dumps blonde cheerleader girlfriend for ginger nobody with no experience. US high school can’t be that tough then. the highlight of this movie is exchange student long duck dong, who in the politically incorrect 80s instantly becomes ‘the weird chinese guy in mike’s room’ since no one can be bothered to pronounce his name. not as popular as ‘no one puts baby in the corner’, but much funnier, ‘no one leaves my cheese out in the wind’ was just one great moment from headmaster ed rooney. how come matthew broderick doesn’t get any older? why didn’t we see more from the actor who played cameron, than just a cameo in ‘speed’? how did ferris have all that technology in one room? 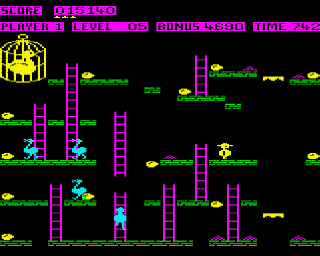 this movie led a million adolescent boys to cling to the belief that beyond the rejection of every single girl in their class, was the possibility of a kelly le brock-alike if they could only tap a few passwords into a chunky computer and attach some wires to a couple of potatoes and a lava lamp. hence the IT skills crisis once these delusionals graduated about a decade later. two outcasts who clearly belong together, but one has loftier ambitions. apparently some viewers were unhappy that ‘pretty in pink’ saw the rich boy get the girl, and this movie was developed to redress the balance. one question – if you know turning up to a party will almost definitely get your arse kicked…why go?